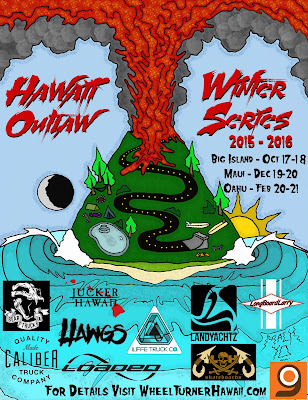 Mahalo Jucker Hawaii for supporting the Hawaii Winter Outlaw Series and putting together this video of the day! 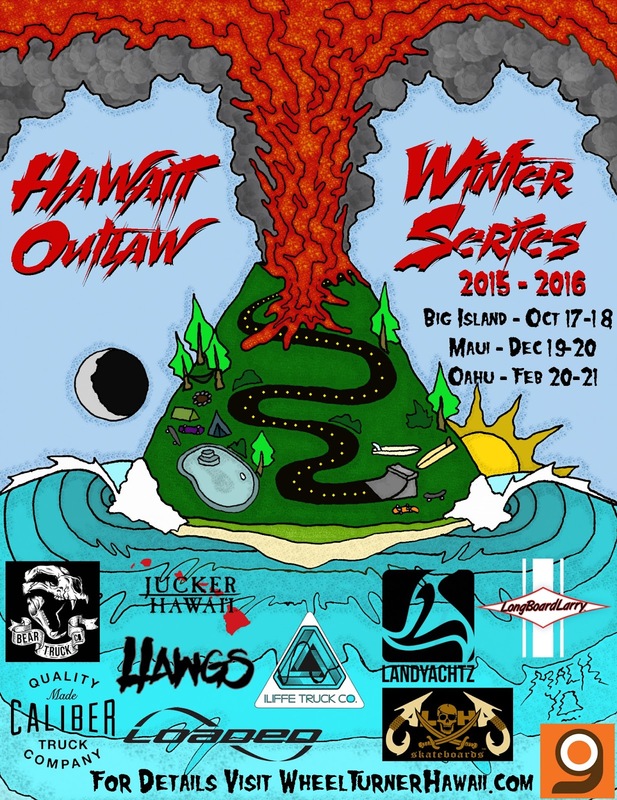 The Hawaii Winter Outlaw Series event 2, The Maui Challenge is complete! It was a good day of epic racing on a prime time race course on the slopes of Haleakala. Coming out on top today was visitor Byron Essert followed closely by Maui's Dakota Camp, and rounding off the top 3 was Washingtons Rain Daley. Nothing but good times and great vibes, check back for a whole write up, photos and videos! The time of year has come yet again. 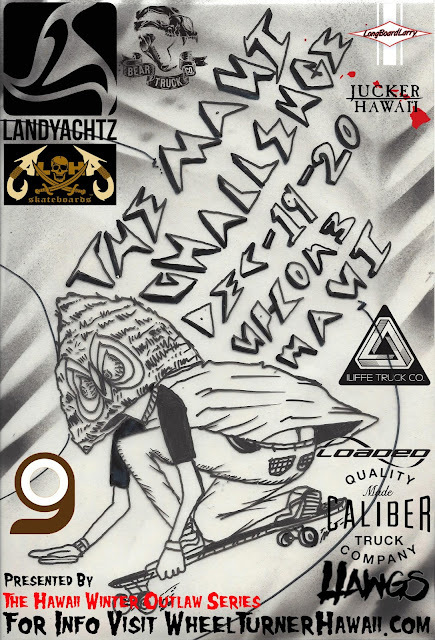 Haleakala in all of her curvacious goodness has begun singing her syren song, luring unsuspecting skaters directly to her slopes for the 2015 Maui Challenge. We are already expecting a turnout larger than year's past, with multiple groups hopping over the ocean from places such as the Pacific Northwest and California, along with all of the returning bredren from throughout the islands. More people = larger sessions and more fun but can also translate into blown spots, so for the sake of a smooth event please try to keep the sessions as discreet as possible! We will be meeting at Rice Park in Kula at 10 AM Saturday December 19 to announce the race course and have a brief riders meeting before heading to the spot. Skateboarding is illegal as all hell here in Hawai'i and we do not have the luxury of skating a closed road as we did last year, so naturally the risk of being shut down is a bit higher. But for those of you who know Maui you know that we have no shortage of alternate course's so we expect things to run like buttah regardless of the adversity we face. To ensure that this happens we ask that you DO NOT skate the Lavender farms on Saturday morning, and please refrain from running large packs down the road at any time while you are here. Signs are posted on the road and if you cross the wrong uncle the hammer will be dropped, so for the good of our small scene and the race in general please respect our wishes in this regard.